Client examples and text-to-win case studies by clients who have used Sweeppea. The South Dakota Department of Public Safety wanted to increase motorcycle riding safety awareness and educate motorcycle riders on the value of wearing protective gear. The South Dakota Office of Highway Safety and their advertising agency Lawrence & Schiller, leveraged the Sweeppea Text to Win sweepstakes management platform to create and manage this statewide promotion. The campaign presented a strong and sobering message: “Beat Death. Don’t Cheat It.” It’s meant to bring home the consequences for not wearing protective safety gear in case of an accident. To incentivize participation and drive the message home, participants entered via text message (SMS) for a chance to win a Harley-Davidson FXRG Riding Jacket. Prize: One Harley-Davidson FXRG Riding Jacket. Approximate retail value was $600, with the prize donated by Black Hills Harley-Davidson. To get started with your own text to win, see our features and pricing. The California Cider Company, makers of Ace Cider, partnered with Sweeppea to launch their text to win sweepstakes promotion. 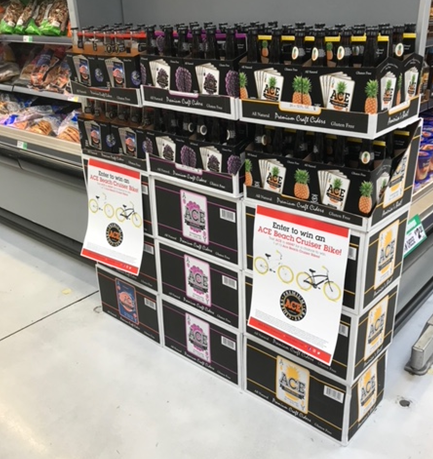 The campaign entailed an in-store sweepstakes across multiple retailers with the goal of gaining preferential retail floor space for the product and to promote the brand’s new flavor offerings. 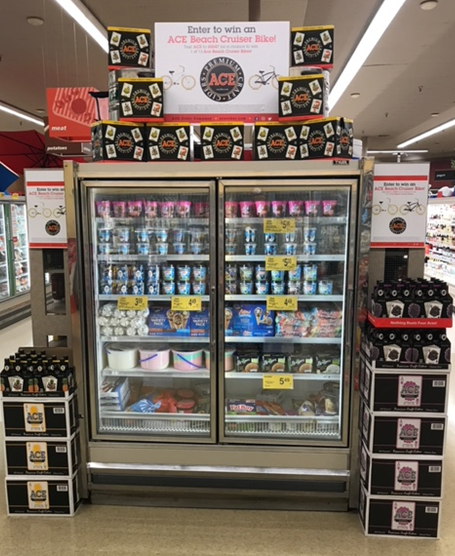 Ace Cider increased orders from retailers and helped those retailers sell more cases by adding a text to win promotion to be featured in endcaps and special displays (see photos below). These end caps and displays help gain attention and boost sales, while the text to win helps bring excitement to the brand and the retailer’s customers. It’s a win-win. 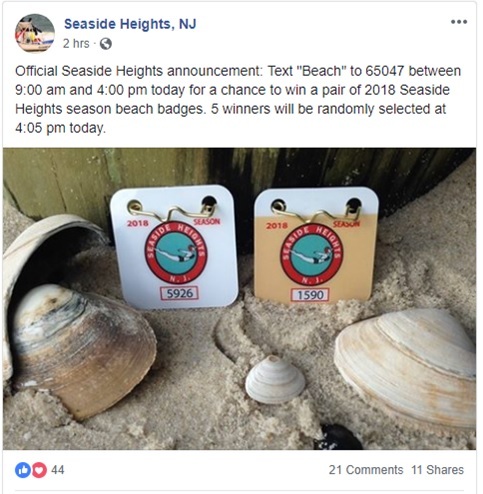 To create a fun and engaging text to win sweepstakes to promote the brand. To gain preferential end-cap shelf space and product positioning with retailers. To promote the latest blockbuster superhero movie, a studio used Sweeppea to offer a chance to win tickets. 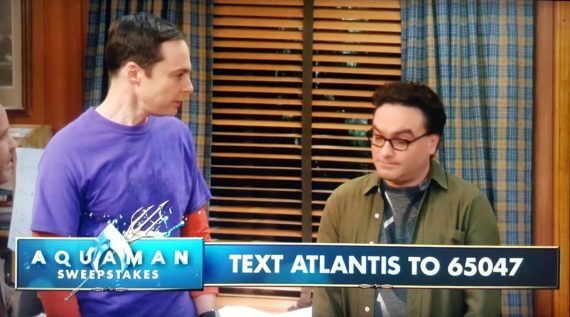 This SMS text sweepstakes ran during episodes of the Big Bang Theory—a great audience match for the movie. 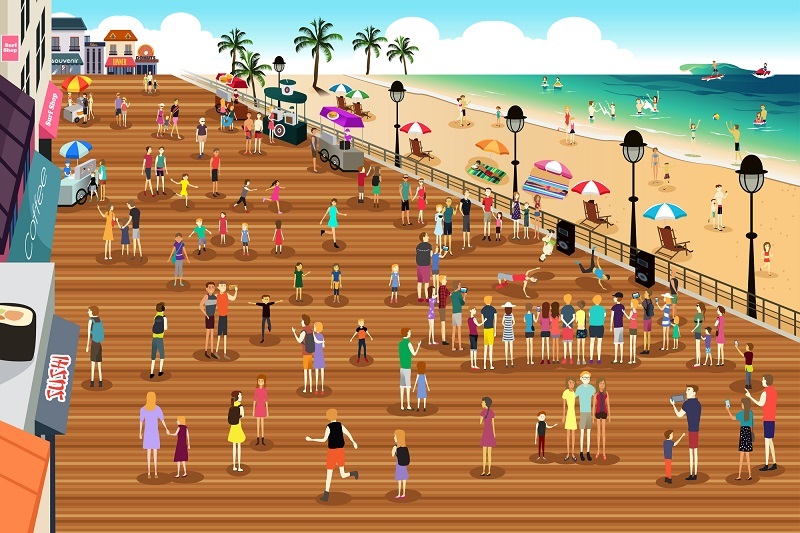 Entrants got a chance to win a trip to California to attend the movie’s Hollywood premiere, as well as daily cash prizes and movie admission tickets. There were multiple entry methods, including text and web, but the majority (80%) entered via text once they saw the message on-screen. In fact, thousands of participants entered per minute during the airing of the show. The lucky grand prize winner attended the premiere in Hollywood, while many daily winners won cash prizes and movie tickets. Overall, it was a highly successful text sweepstakes, that ran on the Sweeppea’s platform. 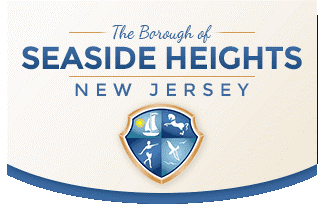 Prizes: The Grand Prize winner received a trip for two to Los Angeles to attend the Hollywood premiere, plus $1,000 cash. Daily prize winners received $500 gift cards and 2 movie admissions. To get started with your own text-to-win, see our features and pricing.